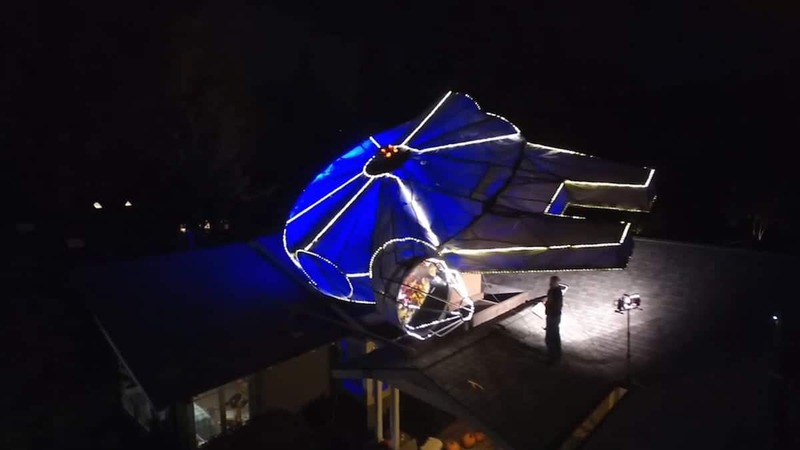 A family are celebrating Christmas in style by building a life-sized Millennium Falcon – on their ROOF. 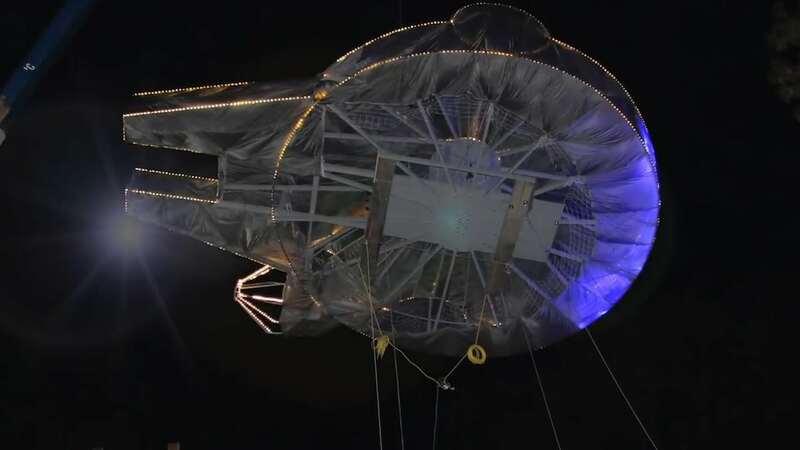 Colby Powell and his four children built the 28.5 ft long, 20 ft around, and 5 ft thick replica of the spaceship used by Han Solo in the sci-fi saga. 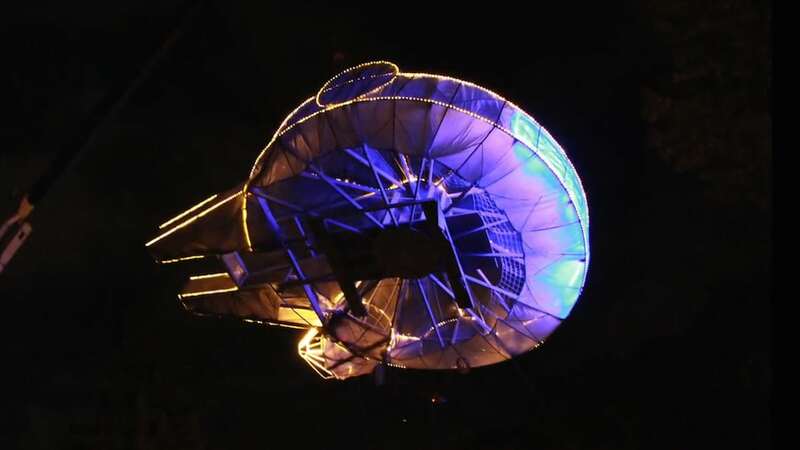 With help from family and friends, they also created a 23-foot replica of the Death Star on top his house two years ago when Episode 7 the Force Awakens was released, which was said to be the largest DIY rendition of its type. 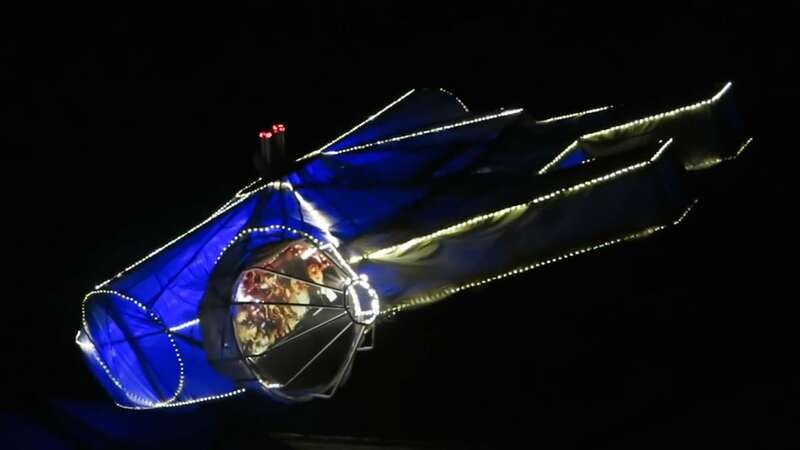 The fully illuminated, flashing, glow in the dark spaceship has 630LF LED lights and weighing 50st, taking around four to five weeks to build – with around 400 hours. It was hoisted on to the roof of the two-storey family home in Lafayette, California, using a 70ft crane using cable supported cantilevers with the measurements scaled from his son’s Lego. To create their planet-destroying Death Star, Colby and kids Isabel, 13, Drew, 12, Cameron, ten, and Ian, six, designed and built a 23ft geodesic sphere. Colby and the family chose not to make any models for the standalone movie Rogue One, released last year, instead waiting for The Last Jedi released this month to launch their next masterpiece – the a supersized Millennium Falcon, complete with Han, Chewie, Leia, and even C3P0 in the cockpit. Colby, who works as a contractor for a family-owned company in his area, says his daughter Isabel managed to save the project and get the galaxy-saving ship off the ground. The 46-year-old said: “The most challenging part of the Falcon build was definitely the cable-supported cantilevers. “My oldest daughter actually saved the day by coming up with a way to safely connect the ship to its base while on the roof. “In fact, without her idea we may have wound up leaving the falcon parked in the driveway. “We started the Star Wars themed tradition two years ago when the new movie – the Force Awakens – was due to be released. “We decided over the summer to build a giant Death Star, and continued the tradition with each new release which Disney said would be every two years. “The Death Star in 2015, and now the Millennium Falcon this year, are essentially Halloween decorations which we leave up until the movie is debuted. “It was a surprise when Disney released Rogue One and we chose not to do a decoration for that inter-story in 2016 but rather wait for Episode 8 to be released. Colby says neighbours and passers-by stop and take selfies of the impressive structures. He added: “The neighbours love it and are a large part of the reason why we do this. For us Halloween is the event that kicks off the holiday season. “Then two years ago, with the new movie coming out, we chose to depart from the normal spooky theme for Halloween and go with a Star Wars focus. 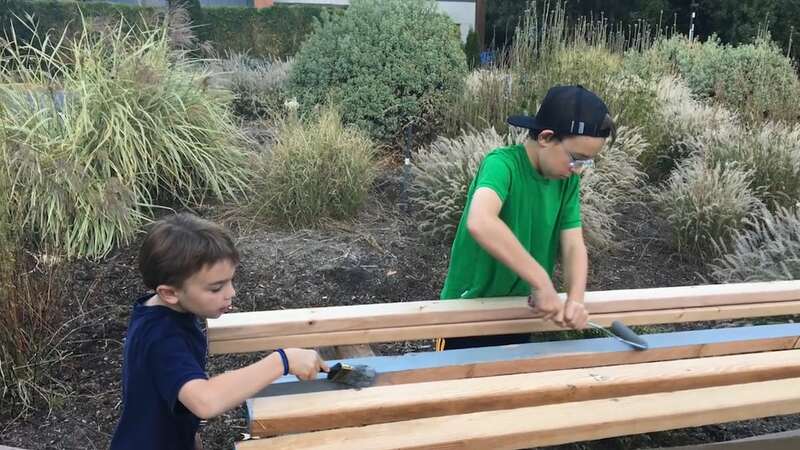 “Our family had a blast building the Falcon this year, and it was fun keeping people guessing as to what it might be while construction was ongoing. “Many neighbours have pitched in to get the projects built, and we’ve given them credit with each video of the construction. “Even more neighbours helped this time around with the Falcon build. Many people drive by and I’ve heard from a lot of friends and more distant neighbours that they look forward to seeing it in person. “Each night there are more and more cars that drive by, pause and take photos. A few remark how cool they think it is. The creative family plan to make a new model when Episode 9 is released, but have yet to decide on what they will build.